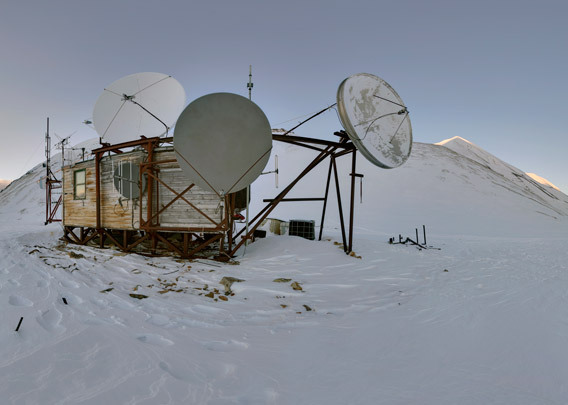 Telelinken, the „tele-connection, is a little hut with generator and some large antennas on the slope of Hiorthfjellet. The antennas are directed to the south. They were responsible for supplying Longyearbyen with TV. 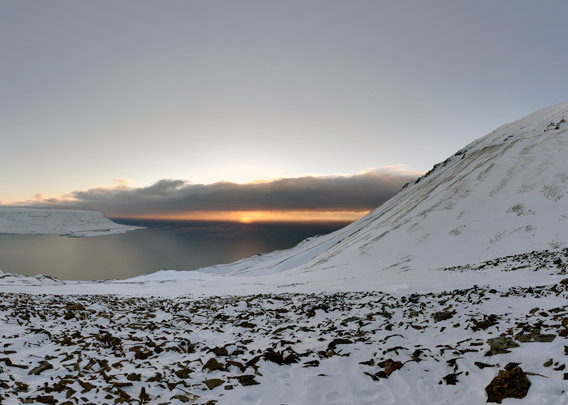 Today, Telelinken or, rather, the terrace below it is a popular viewpoint with a great panoramic view of Adventfjord with Longyearbyen and surroundings. It is easy to get here in the winter season by snow mobile or beltevogn (large track vehicle).